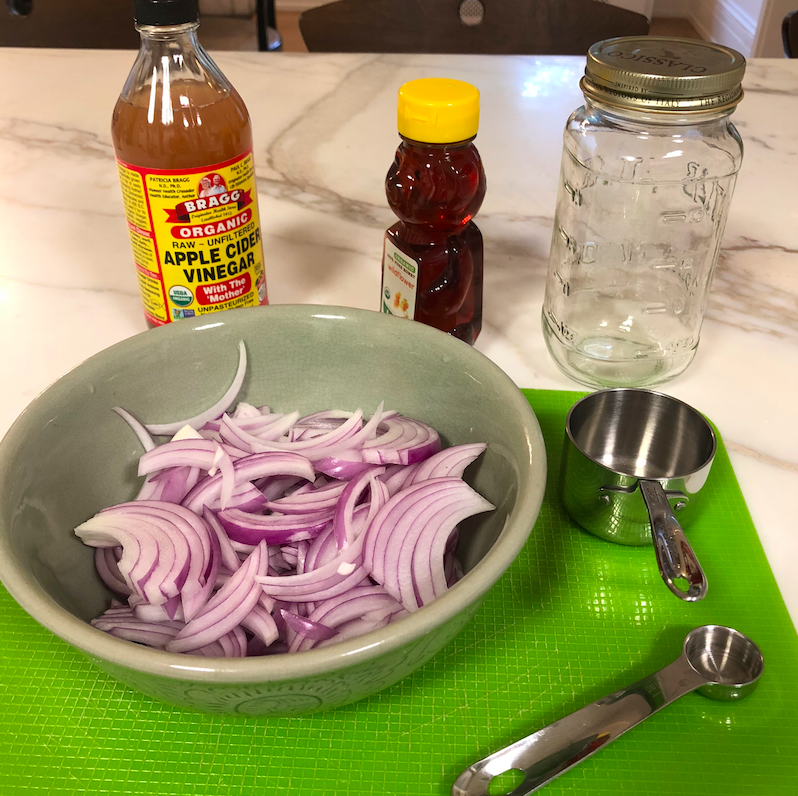 My new favorite ingredient to add to salads / bowls / anything / everything ….pickled onions! They are sweet, tangy, and not too pungent. And super easy to make!